Like a gambler to the slot machine, you press “Start” on your AdWords campaign. Every day, you check the dashboard. A few clicks, even fewer conversions, and one measly phone call. You’ve already gambled away several hundred dollars with nothing to say for it. Every day, you get more nervous, receive fewer clicks, and waste more money. Until eventually, you turn it off – Ah! This doesn’t work. Take heart – that’s not the story for every AdWords campaign. I’ve personally run AdWords campaigns that sport a life-changing $300 to $1 ROI. 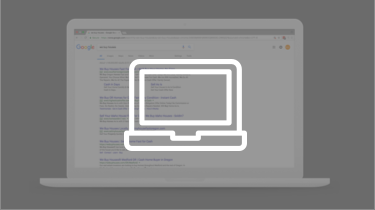 There has been a push in what has been recommended (mostly by Google) in the approach to your bidding strategy. Traditionally, we’ve been sworn into a manual bidding method based on bid matrixes factoring in ad position, performance, market location, and trends. Despite how successful these methods have been over the past 5 years, the frequency in which we’ve seen our members embrace (at the request of the assumed “authority”) automated (robotic) bidding has increased significantly. For some, this openness to automation has provided incredible value for their clients. For others, the results were underwhelming. If you find yourself in the same boat as the latter, it’s possible that your motivated seller AdWords campaign is simply not a good fit for automated strategies. And trust me, I understand there are certainly a lot of Reasons To Not Use an Automated Bid Strategy. Before admitting defeat, make sure none of the following mistakes exist in your strategic implementation. … Budget control is a huge component of the success of your Google Ads account. Not only from automated bid strategies but obviously, with manual strategies as well. This might be the most recommended automated bidding strategy right now. Most Google Ads Strategy Specialists are pushing this one onto its members. But, this recommendation is usually without merit and data to back up the suggestion. So, what is Target CPA Bidding? Using historical information about your campaign and evaluating the contextual signals present at auction-time, Target CPA bidding automatically finds an optimal CPC bid for your ad each time it’s eligible to appear. Google Ads sets these bids to achieve an average CPA equal to your target across all campaigns using this strategy. Some conversions may cost more than your target and some may cost less, but altogether Google Ads will try to keep your cost per conversion equal to the target CPA you set. These changes in CPA take place because your actual CPA depends on factors outside Google’s control, like changes to your website or ads or increased competition in ad auctions. Additionally, your actual conversion rate can be lower or higher than the predicted conversion rate. For example, if you’ve found that it takes 15 Google Ads leads to close a deal and therefore you can pay up to $3750 to acquire a deal you might be willing to set your target CPA at $250. Basically, you’re telling Google you’re willing to pay $250 per lead to get 15 leads. Google works to do it’s best to optimize your bids to reach that goal. Now, Google Ads (AdWords) will use historical data, along with contextual signals such as device type, time of day, physical location, remarketing lists, and browser types to find motivated sellers who are (or seem) ready to fill out your lead form. These data points help predict opportunities for you to hit that budget goal, by showing your ads for search queries and at times they are most likely to convert. Not so fast. Let’s keep going. There are a few items that you must know. 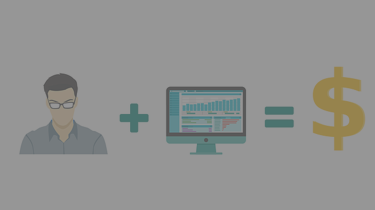 You must properly set up your conversion tracking. Google Ads will take note of how many conversions (lead form) your ad drove and how much revenue it has generated based on your target CPA. Once your ads start running, your total average Cost-per-Acquisition will be reported as the Effective Target CPA. So, if you don’t have conversion tracking properly installed, there is no way Google can know if a searcher filled out your form. Next, you’re losing your freedom. Google will now have the ability to bid above and beyond the normal click rate if it sees a keyword search fits within their data points. Within motivated seller campaigns, there is no guarantee you’ll capture a lead even if the data points to that. Google Ads focuses on increasing clicks for your campaigns while spending a target amount. 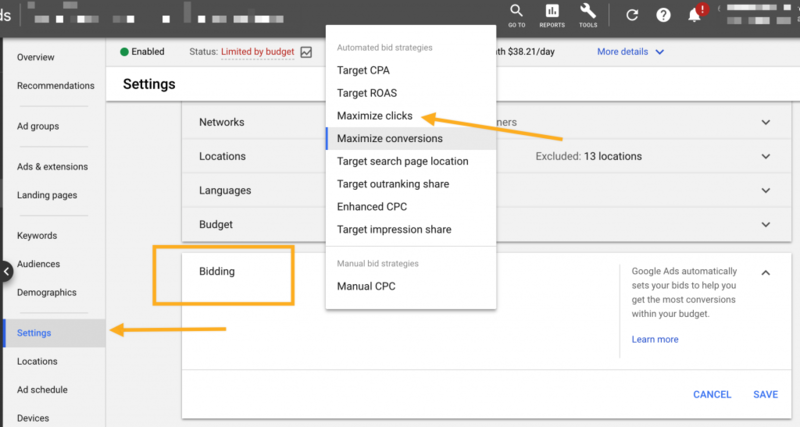 If you don’t specify a target spend amount, Google Ads will attempt to use the remaining daily budget of any campaigns using this bid strategy. Even though this strategy might be the easiest to get clicks, it doesn’t mean it is a smart strategy. You might be asking “Why?” Well… because this strategy doesn’t take conversion results into account. So click volume sounds great, but not if that number isn’t related to your lead volume. Using historical information about your campaign and evaluating the contextual signals present at auction-time, Maximize conversions bidding automatically finds an optimal CPC bid for your ad each time it’s eligible to appear. 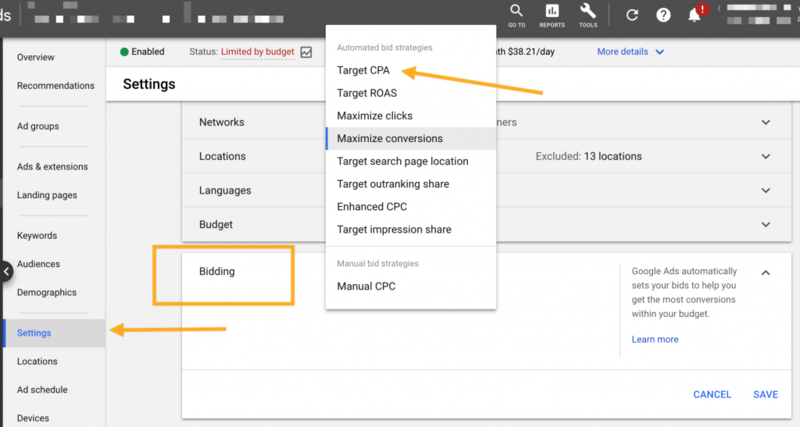 Google Ads sets these bids to help get the most conversions for your campaign while spending your budget. Also, as with the maximize clicks strategy, the maximize conversions strategy can quickly blow through your budget. Unless you’re working with a hefty budget be sure to double check your daily campaign spend. Otherwise, you might be spending through your budget without getting leads. This remains one of the most important topics. 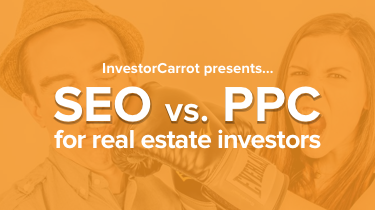 Picking a strategy will dictate the KPI that Google Ads will try to hit. Often, the most important KPI for a motivated seller campaign will be your Cost Per Acquisition (CPA). You must know your numbers. If you have any disconnect between what you use to gauge performance and your #1 KPI the increased chances of having unsuccessful results. To ensure you have the proper number for your goals, use the Carrot ROI Calculator and make sure you understand all of the automated bidding strategies above. Once you’ve solved your target number equation, you’re still not out of the woods. Budget command is a huge part of success when it comes to automated bid strategies. At the end of the day, Google will be looking to spend as much of your budget as possible while trying to achieve an “acceptable” level of return. Automated strategies are honed in by volume (search traffic) and data. Therefore, it is commonplace for automation to rapidly spend through your budget caps during the “learning” phase. In essence, too high of a target CPA and budget can lead to inflated cost per click, and therefore, decreased efficiency. If you choose to use automated bidding, consider starting with budgets roughly 20% below your 30-day total average spend. That way, at the very least, you can see how automated bidding will play out while not killing your normal budget. I just mentioned starting with roughly 20% below your 30-day total average spend. But… you also don’t want to start with too low of a budget. Campaigns with budgets that are too low, will need more time for the learning phase of the bid strategy. Also, a budget that is too low can lead to inconsistent performance. When Target CPA isn’t hitting your bullseye, the campaign with not enough to spend is ultimately the reason why it’s failing to provide enough conversions at volume. With most campaigns, Google will recommend removing all CPC caps on the automated bid strategies. At some point, CPC caps will become unnecessary if budgets and goals are set to the proper level. But, when in some markets that are very competitive and therefore expense, it can be hard to trust Google robots to take over the reins. Keeping CPC limits in the beginning and slowly releasing them is at least an option to build trust in the automated system. You can find this option for shared bidding strategies under the Portfolio Bid Strategies in Tools. Again, in order to have a successful automated bid campaign, you and Google will rely on consistent and significant data. If your account and campaigns are too low in volume, you increase the chances of having poor results. Google Ads (AdWords) suggests that you need at least 15 conversions per month for your campaign. But 15 can be too low of a number. Anything below the 30-day data threshold will lead to incomplete optimizations and therefore a failure in the system. This one is tough. Once you turn on a new automated bid strategy, the algorithm begins to learn, but, that takes time. Most of the time months. Some Google Ad Strategist even suggest 6-8 months worth of data. Within that learning period, you could very well see costs go up but leads go down. Also, any times when the account or campaign(s) are paused or you make major changes in the budget and bid KPIs will reset the process. So, if you can be patient and trust the automating bidding strategy that you’ve chosen, be sure to make incremental changes or you could be starting all over. Automated bidding will always be around. While many will remain to utilize successful manual bidding methods, the reality is that you need to know more about automated bidding before testing it out. By avoiding certain mistakes, you might be able to increase your chances of success when testing these bid strategies. Overall, when you switch to an AdWords automated bidding strategy you will have less control over your bidding as well as having less credible data to make educated changes. For example, if the automated bidding strategy started to tank, you won’t be able to analyze data as well as you would if you were using a manual strategy. So, for those of you who like having complete control over your accounts, this strategy might not be your favorite.